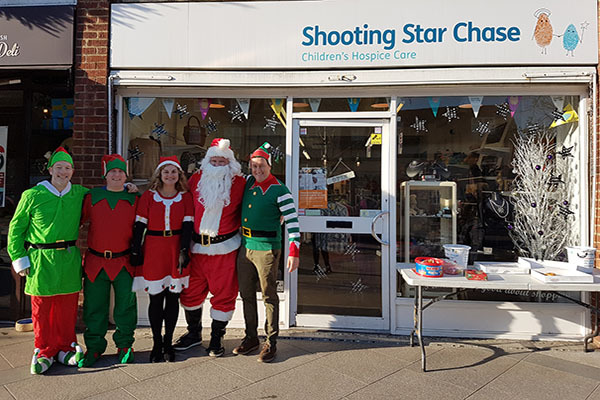 Shooting Star Chase charity shops play a vital role in helping us fund our care service. 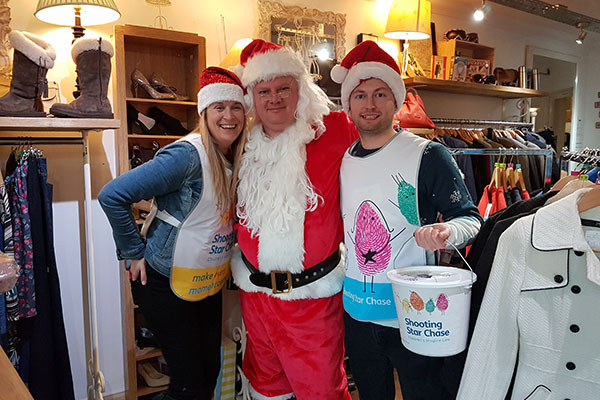 Last week eight of our twelve shops were a buzz of excitement when Cisco came up with a novel way to celebrate Christmas whilst supporting their local children’s hospice charity: by taking over the charity shops for a day! The annual December get-together is traditionally a time to reward your staff for all their hard work, but the UK Service Provider team at Cisco decided that this year they wanted to do things differently. Conscious that the Christmas period can be very hard for many, they brainstormed fun and festive ideas for supporting local charities. 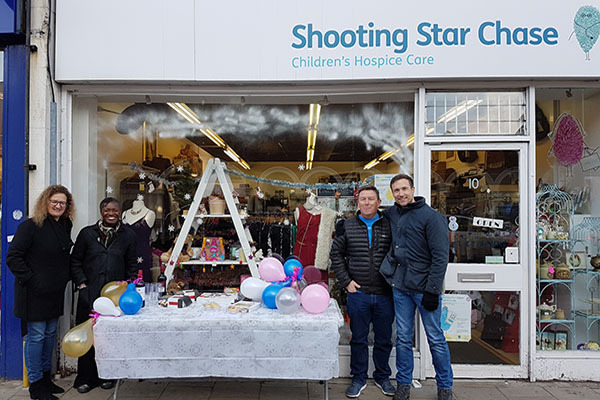 The result was a department-wide competition to raise the most amount of money by taking over a charity shop for the day in The Apprentice Shop Challenge. The Apprentice Shop Challenge is a truly unique way for staff to volunteer their time, gain some teamwork and sales skills, whilst helping to raise vital funds to help support the babies, children and young people with life-limiting conditions, and their families. The Cisco team behind the Weybridge takeover had plenty of exciting plans for the day. 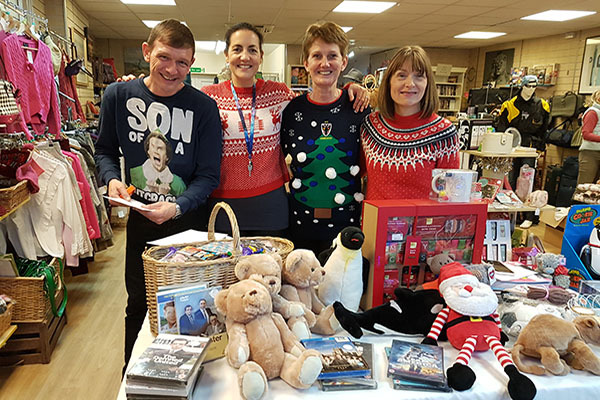 Secret Santa has quickly become an office tradition, and local companies were invited to visit the shop, where they could choose from a range of gift ideas ranging from £5-10, with a complimentary gift-wrapping service. 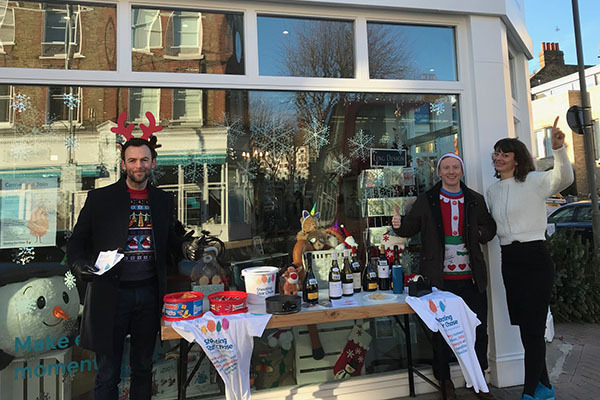 Teams at some of the other shops, which included Walton, Hampton, Teddington, Twickenham, Fulham, Chiswick and Battersea also had plenty of ideas on how to raise the most money including raffle tickets to win exclusive prizes, cake sales and Christmas lucky dips. The teams worked tirelessly throughout the day and together raised an astounding £9,700 which will go towards making every moment count for the families we support. And remember if you still have those last few presents to purchase make sure you pop into one of our shops which are full of wonderful items at a fantastic price! You can find out your nearest shop here. Find out more about the Apprentice Challenge and how your company can get involved in supporting Shooting Star Chase here.